April 10 - May 30, 2015. 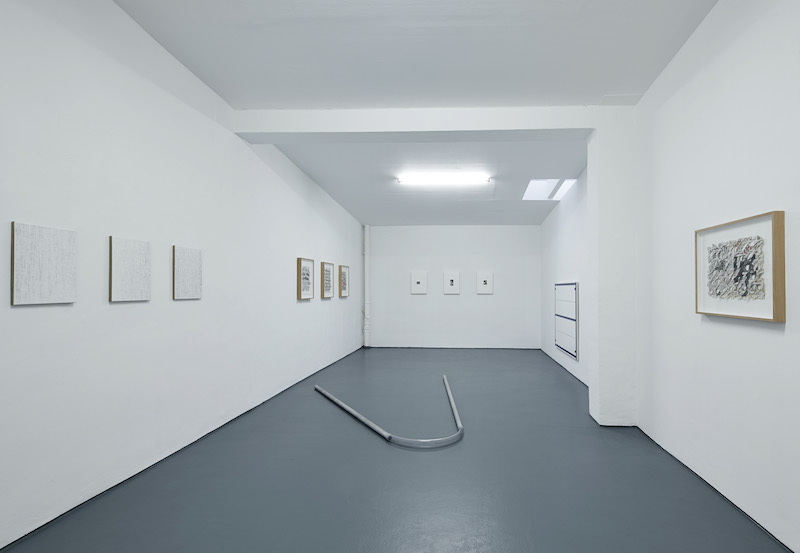 Bischoff Projects Frankfurt/M. Bischoff Projects is pleased to announce an exhibition of works by Bill Bollinger, Paul Czerlitzki, Erik Lindman, Ariel Schlesinger, and Alan Uglow that seek to determine positive and negative space as experienced across a horizontal, widening plane of sight. 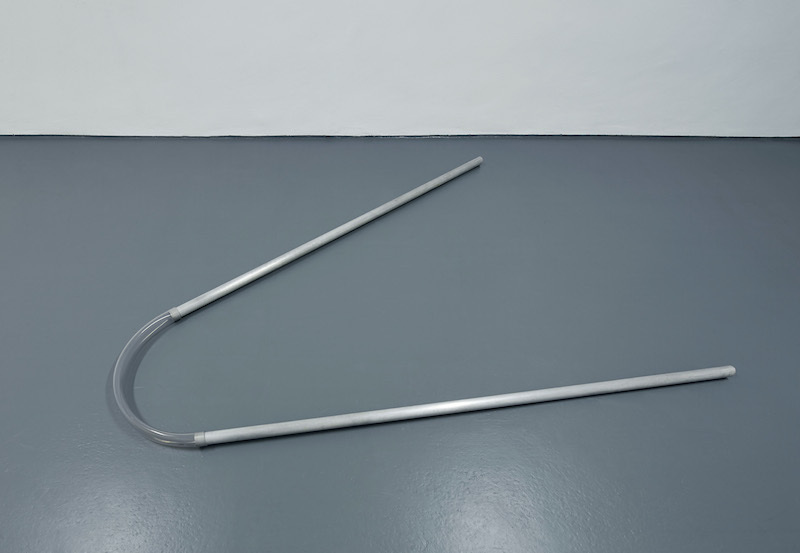 The exhibition unites artists who worked at the forefront of minimal and postminimal art in the 1960s and 70s with contemporary sculptors and painters. 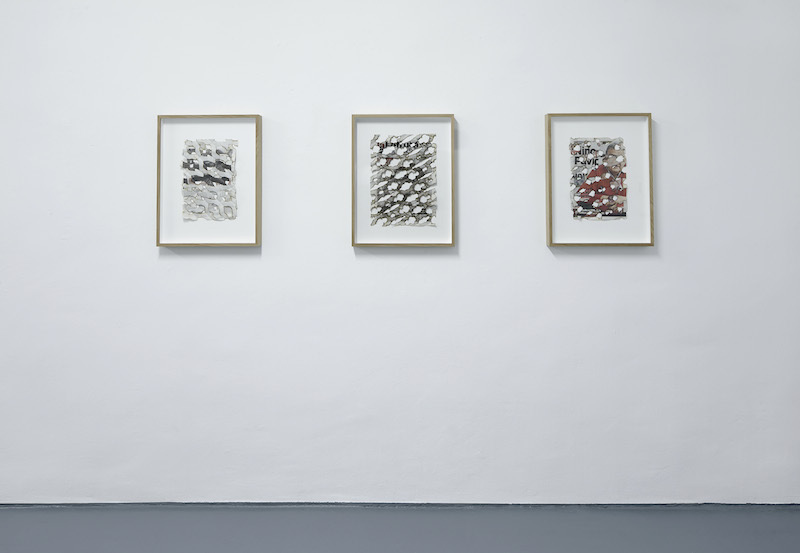 Materials ranging from mesh, to wire fencing, to graphite dust, to pipes spread across an exhibition’s surface characterize the work of Bollinger (d. 1988). He eschewed color and canvas in an effort to convey totality as well as limits within space. His career was characterized by his use of such industrials that he imbued with rhythmic and expansive qualities – his “pipe pieces,” bent, reconfigure one’s experience of the surrounding space. His work featured into the legendary 1969 exhibition “Live in Your Head: When Attitudes Become Form” at the Kunsthalle Bern, a critical moment that challenged how art might transcend the confines of defined presentations. In Czerlitzki’s pictorial corpora he begins with canvas as a means, not as a forum, for representation. 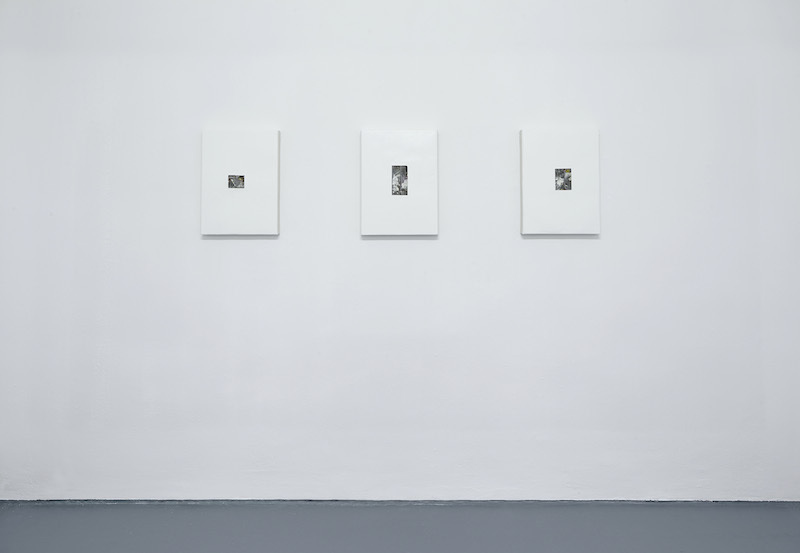 Czerlitzki draws our attention both to the canvas as material as well a delineator of space in these depictions of the medium's structure as well as expansiveness– to follow, depending on the viewer's position in the room, the works reveal themselves entirely differently, further affecting the viewer's movement through space. 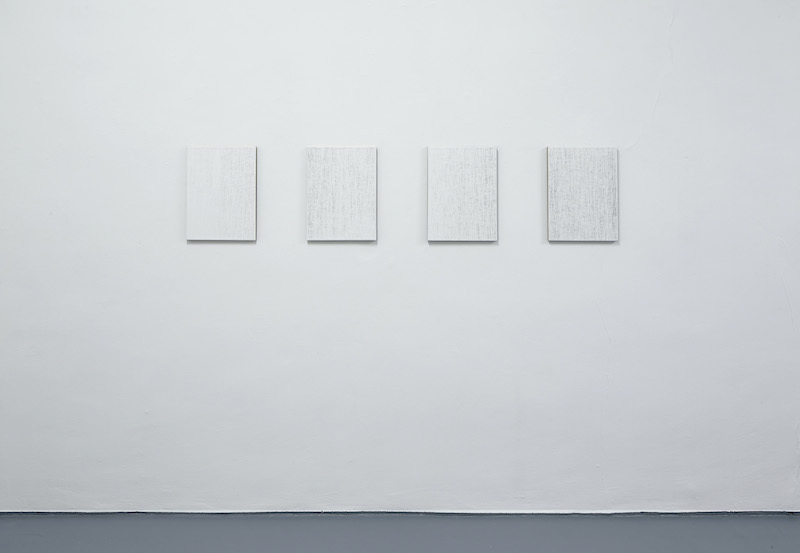 Lindman’s work reevaluates painting as a product of a creative process, rather than mere result. Editing plays a central role in Lindman’s process, as he pares down gesture, color, and pattern into expression of inspiration rather than a singular image on his abstracted, multimedia canvases. 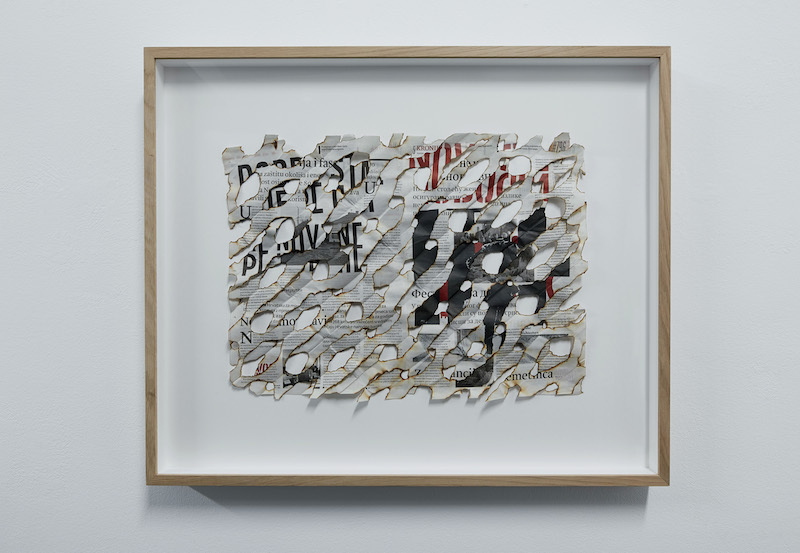 Such motion, how the artist’s hand reacts and redoubles across a work, is vital to the life of his works, which makes use of cutting, tearing, stapling. The work of Schlesinger cunningly deploys objects into space, from balanced, upright license plates; to dueling sheets of paper set to spiral around another, while still embodying a sense of flatness. Here he presents work from a series of paper seemingly burned according to precise patterns, residuals of movements of flames. His works at once assert themselves as objects, usually identifiable as leftovers from contemporary life that expand our range of sight. 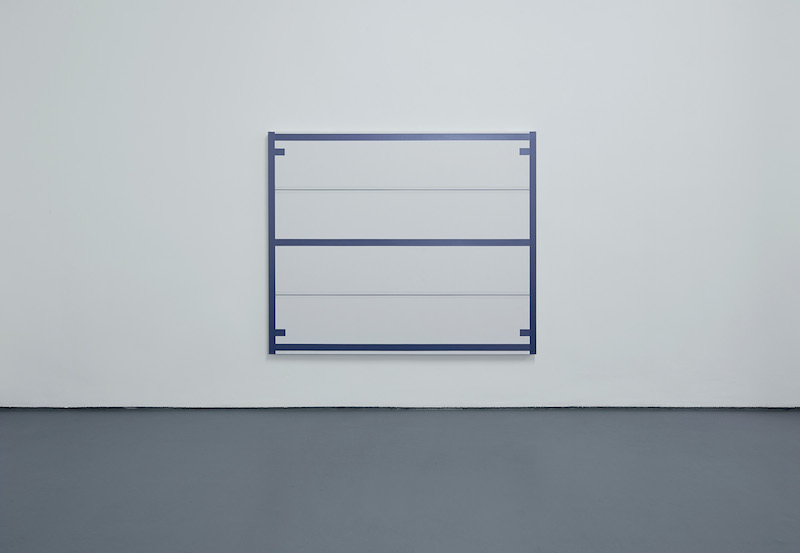 In Hanging Standard #5, Uglow (d. 2011) determines a white canvas in frames of purple paint. The English-born abstract painter tested the line against white space in his canvases, with diligently rendered undertakings of scale as well as light. A painting’s position in a room might require equivalent attention from the artist, stretching the limits of the canvas into the vast possibilities of human sight line. His works reward the careful observer, as dozens of layers of paint reveal intricacies of pattern and dissipation of life depending on from where and under what light they are viewed.